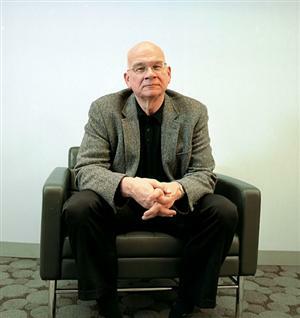 Tim Keller, New York reformed pastor at Redeemer Pres. and occasional commenter at TallSkinnyKiwi [the latter being a worthier qualification] finds himself in Newsweek. The headline reads “The Smart Shepherd: A New York pastor who says he thinks too much wants to bring his Christian message to the world.” Actually, being smart is mandatory in a world where general IQ has silently increased decade after decade [read Johnson’s “Everything Bad is Good for You] but Keller also has the humility and openness to other opinions that makes him accessible and winsome. Tim is one of the few leaders in USA who commands respect from both the emerging church and its critics. Its always an honor to have him give some wise counsel when this blog needs it. He has a new book out this week, thus the media attention, and its called “The Reason for God: Belief in an Age of Skepticism”. I havent read it yet but its sure to be good, despite what Newsweek said. – There was some talk of Newsweek’s misrepresentation on Keller’s evolutionary views in the article but Ed Stetzer clears the air. – Steve McCoy collects Keller resources like some people collect old records. Sorry Tim. No connection to old records intended . . . Thanks for this. I work in a city and think what keller is doing is great.